Here I list the different projects I've worked on. 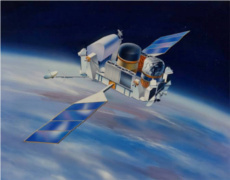 There's a wide variety of different kinds, from astrophysical research via modding to book historical research. 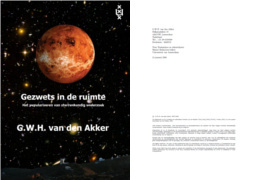 In this Dutch master thesis I study the amount of popular scientific books about astronomy appeared in the Netherlands during the nineteenth and twentieth century, and how it was popularized. First I made an inventory of all these books, after which I made a model to describe the way they appeared. Then I looked into the techniques that were used. More details are available here. 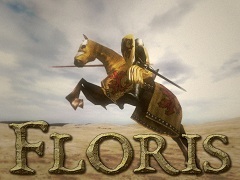 The Floris Mod Pack is one of the largest mods (user-made modifications) for the game Mount&Blade: Warband. It has grown from a simple compilation of several different mods to a full-blown giant that more resembles an expansion to the game than a small mod. There are changes in the graphics, music, sounds, content, features and a lot more. More details are available here. 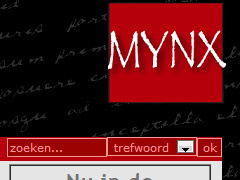 In 2008 and 2009 I did an internship at Mynx Publishing, one of the largest publishers of fantasy and science fiction on the Dutch market at that time. During my stay I had an ongoing assignment to restruicture the company website content-wise. The entire online archive had to be redone. Information about books and authors were missing or wrong, so that had to be corrected. More details are available here. 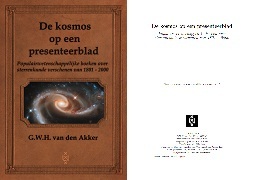 In 2008 I wrote a report about the different aspects of editing a popular scientific book about astronomy and astrophysics. I looked at the different techniques used to transform a scientific paper into an article readable by everyone and explained why it is useful to do this. More details are available here. 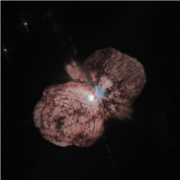 The main objective of this project was to study if the nebula surrounding η-Car has just olivine grains, or that some other material is present. To do this, I compared several spectra and fitted black bodies to determine the temperature. After finding these, I subtracted the black bodies from the spectra and compared the bump that was left with graphs from olivine grains with a diameter of 0.1 μm and 2 μm. More details are available here. In order to determine the magnitude of δ-Cep, we first studied the theory behind Cepheid stars, then observed δ-Cep and finally used the method of Baade-Wesselink and IRAF to determine the magnitude. More details are available here. 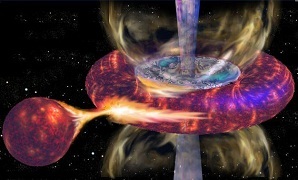 A study of High and Low Mass X-ray Binary systems was done with the Mercator telescope. 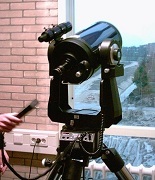 Our main interest was to study V* V615 Cas (LSI +61303) and SS433 between 342 and 749 nm. More details are available here. 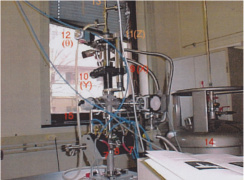 We researched at the WZI the magnetic properties of four samples with different concentrations of Gd1-x-yTbyFex. Using a Magneto Optic Kerr Effect (MOKE) mounting we could determine the magnetisation curve of those samples at different temperatures. It appeared that both the temperature as the concentration of iron were of big influence on the anisotropy of the material. More details are available here. 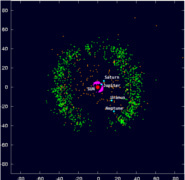 In this research we looked at the distribution of the Kuiper Belt Objects (KBO's) and their behaviour. With the data available at that time, we noticed that there was a portion in resonance with Neptune, Pluto among them. These trans-Neptunian objects could orbit the sun unharmed by the influence of Neptune. Also we saw a giant gap in the observations, but when we took the data to a 3D-simulation in the CAVE we saw that with the ages this gap would disappear: it's just an effect of selective observations. More details are available here. In this research about Gamma Ray Bursts (GRB) we looked at different hardness ratios that were plotted against both T50 and T90. We also compared if the graphs of the GRBs with an afterglow can be divided into groups. More details are available here. 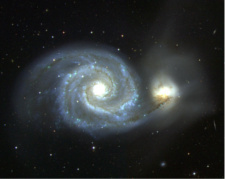 For this thesis I made observations of the two colliding galaxies M51 and NGC 5195. After I obtained a visual impression of their composition, I set up their data in a simulation program. Starting with hypothetical values obtained from the images I made, I experimentally determined the ratio of stars, mass and radius between these galaxies, and their inclination and speed. More details are available here.